Home/Sikh News/High Court Defers Bhai Papalpreet Singh Bail Hearing Again | Next hearing of the case to March 14. CHANDIGARH, Punjab—Today, the Punjab and Haryana High Court conducted the bail hearing of Bhai Papalpreet Singh. The court debated the case for a short time, and then deferred the next hearing of the case to March 14. The bail plea of Bhai Papalpreet Singh was initially scheduled to be heard during first week of February. Bhai Papalpreet Singh was charged under section 124-A (sedition) following the Sarbat Khalsa 2015, where he read the letter of Bhai Narain Singh Chaura to the sangat. Bhai Narian Singh Chaura is a human rights activist who is currently imprisoned in Punjab. During the first hearing on the case, the High Court ordered that this video be presented to the court. The court has asked for the recording of the video because Bhai Papalpreet Singh faces sedition charges for reading his Bhai Chaura’s letter. Following the Sarbat Khalsa, 19 other Sikhs were indicted in an FIR registered at the Chatiwind Police Station in Amritsar on November 12.The charges in the FIR were for various violations listed in the Indian Penal Code under sections 124A, 153-A, 153-B, 115, 117, 120-B IPC and Section 13(1) of UAPA and Sec. 66-F Information Technology Act. According to Indian law, these violations are described as sedition against the Indian government, promoting enmity between groups, abetting a criminal offense, “cyber terrorism,” and conspiracy. Several others were named in the FIR and subsequently arrested, including Simranjit Singh Mann, Jathedar (acting) Bhai Dhian Singh Mand, Jathedar Bhai Amrik Singh Ajnala, Jathedar Bhai Baljit Singh Daduwal, Jaskaran Singh (Kahan Singh Wala), Mohkam Singh, Gurdeep Singh Bathinda, and Satnam Singh Manawan. 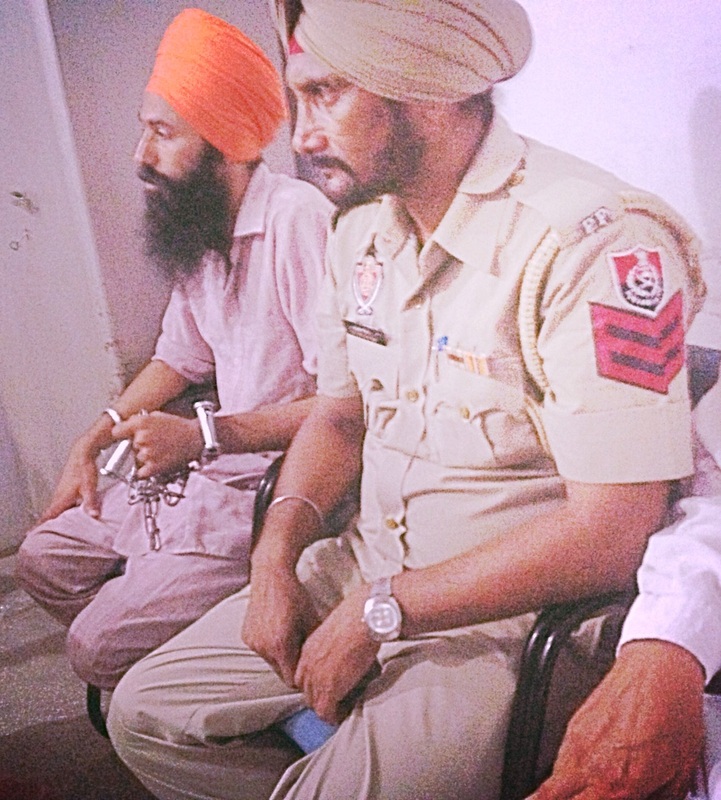 Those who still remain in prison are Bhai Dhian Singh Mand, Satnam Singh Manwan and Surinder Singh Thikriwal. Bhai Papalpreet Singh is well known for rebuilding the houses of those Sikh families whose members were martyred from 1984 to the early 1990’s, during the Sikh freedom movement. High Court Judge :- Inspector General Prohibited Jagtar Singh Tara to Make Calls to Family Members & May Not Be Allowed To Meet Other Co-accused Due To Security Reasons.